Is this Really who we have Become? Is that really where we are? Have we awakened too late? 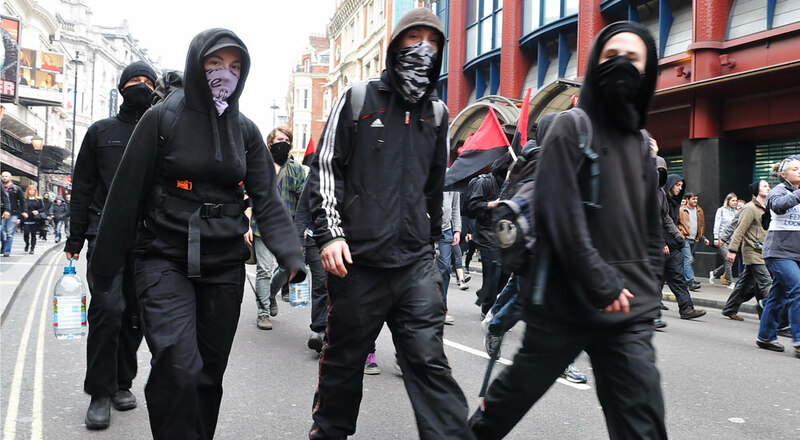 Has it gone so far that the radical fanaticism of the Left has gained support and strength? The answer may be simple! Let us examine the events of the last thirty (30) years, or further back possibly. The King James version of the Bible, Book of Proverbs, 13:24 …” He that spareth his rod hateth his son: but he that loveth him chasteneth him betimes”. Loosely translated into ‘today’s English’ ; “… spare the rod and spoil the child…”, or “… spoil the rod and spare the child… “. I leave myself open to harsh criticism from my peers when I put forth that the previous generations have been spoiled to the highest degree. But it is my opinion, and I have been known to voice my opinion no matter the consequences that may befall me. I am really tired of hearing a parent utter the words … “….. he’s a good boy…..”, or sometimes, but not often, the same words for a daughter. I am quite aware of the parental love of a child. As the youngest of seven I must admit I was spoiled. But I also had the love/discipline of my father and six older siblings; who, I sincerely hope, added respect, obedience, and manners to my repertoire of personal behavior. It is my considered opinion that each generation has been spoiled beyond that of the previous generation; so that we now have, I would venture to say, at least two generations that have been so spoiled they lack the self-discipline and self-reliance that puts them on firm footing to face the World and their future with confidence. Witness the strong influence of home safety advertising; the unrelenting inclusion of safety features in and on our automobiles, the increased travel restrictions and regulations. The constant reminder to always carry some defensive ‘weapon’ on your person; to be sure your home is protected and secured with sirens and cameras, and definitely have some form of defensive weapon or ability to protect yourself within the home. This behavior has not added to the likelihood for crime; crime has increased because of the poverty and drug abuse that I blame on the politicians. They have endeavored to control the citizenry through dependence on the Government. The United States has always been a land of Entrepreneurs; folks that were happy to live their life on their own terms, and through their own hard work, whether it be on a farm, self-employed, or just plain hard work as employees. In stark contrast, today, and over the past two or three decades, many have become dependent on the Government for the very basic of life’s necessities. The middle classes’ have been taxed beyond belief to support the many Government programs that continue to increase as the population of what is termed ” …. the entitlement generation ….” also increases. Now then, what we have is the resulting clash of persons within our land. We have the “entitlement crowd” pitted against the segment of our society that has been able to continue depending on themselves, and the spoiled and pampered segment that have not a clue how to be self-sufficient and survive independently. Many now are very dependent on the Government for housing, food, clothing, basic education and survival; along with safety from forces outside of our shores. And the Politicians within our Government, having become quite complacent with their position of power, wealth, and leisure and all else that goes with such amenities, has learned and realized that by keeping the citizens dependent, keeps them in office. However, and that is a big however, we seem to have a conflict within our society where the middle class, not being wealthy nor in poverty, have suddenly felt the sting and pinch of supporting the dependents of the Government with their taxes. They have seen and realized that the open borders have allowed many, many others to come to the “land-of-plenty”, and will also live off the generosity of the Government. (a generosity supported by the taxes of the middle class). It would follow then, that the open borders policy was intended to allow these non-citizens to enter and become immediately dependent on the Government for food, housing, health care, education, etc. Now these folks are voting, and can assure the Politicians they will continue with their support and vote them into office, thus the vicious circle that we now see as causing the violence and unrest. Added to that we have the “prodigal” sons and daughters that have a difficult time being self-supporting, a difficult time making standard and common decisions for themselves, and having a wonderful life allowing all the modern technology to do most of the labor and thinking for them. Now that the middle class has finally had enough, they have decided to stand up and be counted. And the younger among us don’t know how to handle this other than to have a “tantrum”, scream and holler and march, like little children that expect to get the lollipop that some adult will give to them, just to have peace and quiet! The middle class has put a non-politician in the office of President. As a Businessman he has butted heads with the established Government. And the core of this group is trying everything in their power, and some tactics beyond their power, to oust this man before he and his “America First” agenda brings us back to our Democratic Republic; a land of laws, rights and freedoms, to preserve and protect the American way of life. It may well be too late to once again pick up the “rod”. I will hope and pray it is not!! !